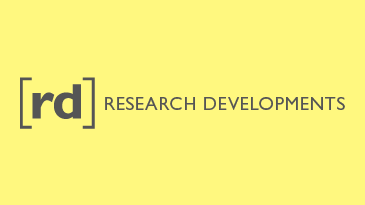 ACER’s education and development research program focuses on conducting and supporting research that aims to improve student learning in the development context. Over 80 years ACER has built a strong reputation as a provider of reliable support and expertise to education policy makers and professional practitioners in Australia and internationally. Our research is concerned with building evidence on how student learning can be improved. ACER is well placed to bring an academically rigorous and research-based orientation to the post 2015 Sustainable Development Goals focus on measuring learning outcomes. Much of our research work is utilised directly by commissioning organisations, although some reports are made available in the public domain. Our projects provide targeted support for education initiatives and strategies within the development sector. We provide collective education expertise in research methodologies, participatory development, sustainable capacity development, policy analysis, program design, monitoring and evaluation, and information management and resourcing models across a range of focus areas. ACER's team of world class researchers. [rd] is the news hub of the Australian Council for Educational Research (ACER). ACER is actively seeking professional partnerships with international researchers and consultants with expertise in a range of education quality improvement related areas. 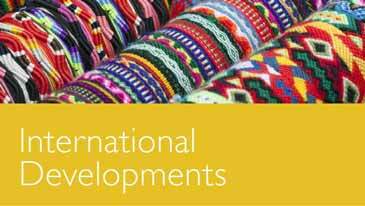 ACER international professional associates typically have more than five years of international experience, working at senior government level with partners such as DFAT, DFID, the EU, UNICEF, UNESCO, USAID, World Bank or other development agencies. 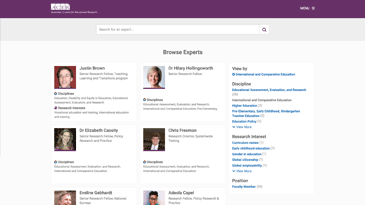 If you are interested in joining a global internationally recognised community of education experts and researchers, we invite you to complete our online survey. ACER took stock and compared existing student assessments in the region, focusing on students in primary education. The study consists of three research components. The first provides an overview and comparative analysis of the existing assessments of student learning outcomes in literacy and numeracy in primary education in the region. The second considers the characteristics of children experiencing limited learning outcomes (LLOs) in the domains of literacy and numeracy, including trends in achievement over time. The third looks at effective country-level practices in the ESA region that could improve learning outcomes in the literacy and numeracy of disadvantaged children in primary education. The study concludes with a macro theory of change drawing on the evidence in the study. In 2011-2012 ACER worked with ZimSEC to monitor and evaluate effects of the UNICEF-managed Education Development Fund (formerly the Educational Transitional Fund). Findings from this work informed Phase Two (2012-2015) where ACER provided technical expertise to conduct annual early learning assessments of Grade 3 students in 500 schools in Zimbabwe, and assisted ZimSEC in strengthening and enhancing the quality and sustainability of the assessment. Specifically ACER has worked with ZimSEC to develop skills in areas such as School-Based Assessment and Item Response Theory, assessment-focused software; processes related to assessment frameworks, test design and sampling; and the analysis and reporting of annual ZELA monitoring cycles. ACER also conducted an Impact Evaluation to measure the impact and effectiveness of investments and learning materials supplied through ETF/EDF. ZELA has received significant international recognition in 2015, being included in the UNESCO UIS International Catalogue of Learning Assessments and in the 2015 UNESCO Global Monitoring Report Education for All 2000-2015.